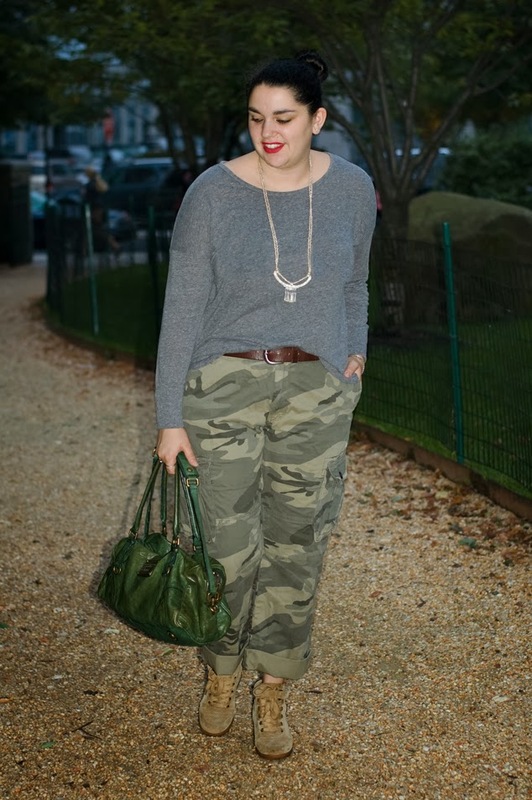 I wanted to try the camo trend but I wasn't sure that stick straight pants were the right choice. I'm a huge fan of the boyfriend fit, so I went straight to the source and checked out the Men's section. Amazing necklace! I have to check out this Raven and Lily....are they online?